With that out of the way, I would like to bring up the topic of donating money to blogs. Not only will I never ask my readers to donate money for something I do freely, but I feel a compulsion not to follow (or unfollow) blogs that do. I don’t really think writing opinion pieces is a valuable service worth paying for UNLESS they are incredibly entertaining. And that’s where I draw the line, because as an author, that’s my career, and if anyone ever wants to support me, all you have to do is buy my books when they come out to convince my publishers they could sell a sequel. Because although I won’t be getting much money from it, when you’ve put an honest effort to get something out there that’s your own original work, that’s when you’ve earned the right to shill. 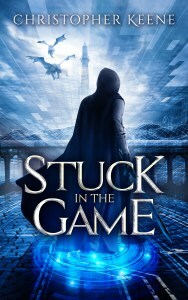 This entry was posted in Bloggers, Novels, Stuck in the Game. Bookmark the permalink. I have seen casino pop-ups appear on some anime sites, which is a tad unethical when you consider that many people who frequent those sites are under age. I wouldn’t condemn bloggers for accepting ad revenue though. Sponsorship is a necessary evil allowing lesser known writers/video makers to quit their day jobs to do something they love for a living. I probably wouldn’t mind if I didn’t know someone who had suffered because of them.